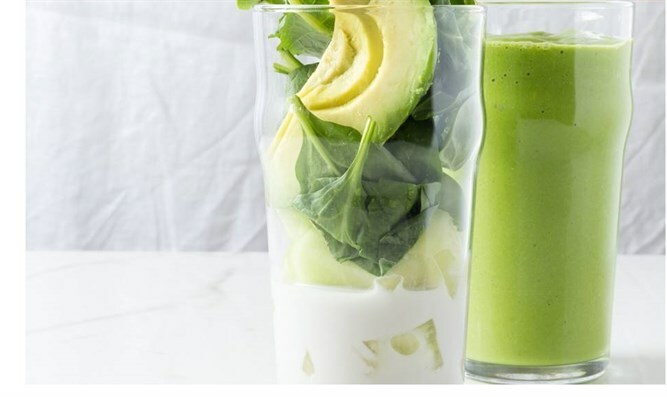 Place kale, spinach, honeydew, lemon juice, avocado, protein powder, and half a cup of coconut-almond milk into the bowl of a NutriBullet or blender and blend. If the consistency is too thick for your liking, add up to half a cup more milk and ice cubes. Enjoy!